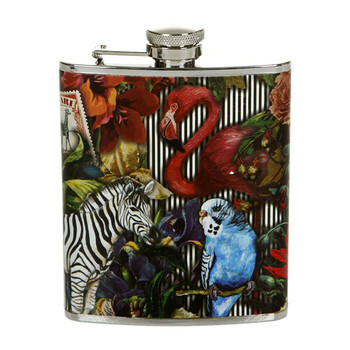 You really cannot beat a good hip flask - they're pretty, they make you look a bit like a pirate and they're FULL OF BOOZE. Perfect for festivals, travelling, or awkward family occasions. My quest for a good'un has led me through mires of cheesy slogans, odd shapes and boring designs, but I think I've found some winners. First up, the legendary Wild and Wolf make some really good ones. 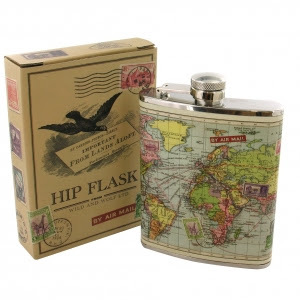 One of my absolute faves is this world map hip flask for £19.95: I would take it to far-away places and use it to plot my adventures whilst tipsy. Ted Baker's stag hip flask is all atmospheric and eery. You could drink from it at a picnic on some windswept moors and its contents would warm you up - pretty and functional. It's £25 from The Hollies Farm Shop. 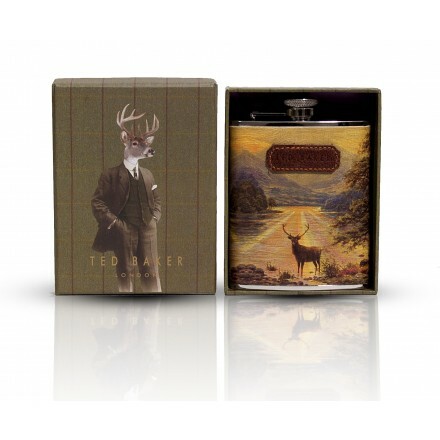 Wild and Wolf also had a hand in designing the Wanderlust hip flask. I don't really know where to start in listing all of the awesome: stripes, flowers, zebras, flamingoes and a parrot! I can even see a cheeky giraffe in the top corner. Although I'm not sure this would be appropriate drinking-material for a trip to the zoo. It's £20 from Amara. Lastly, but oh so very not least are my chums at Urban Outfitters. We've featured their hip flasks before but oh boy is this camera hip flask tremendous. 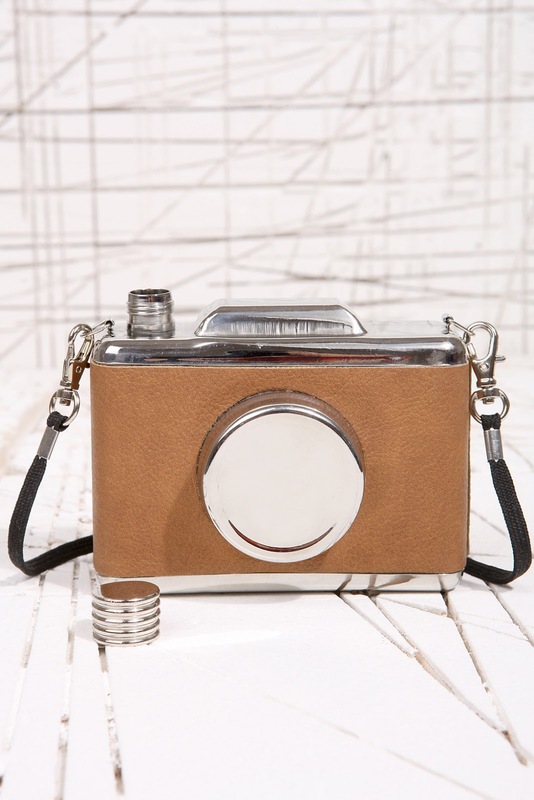 A sneaky little hip flask in disguise, and really very pretty to boot - that faux-leather and neck strap are just charming. It's £20. A hip flask with a zebra, flamingo and parrot? SOLD!